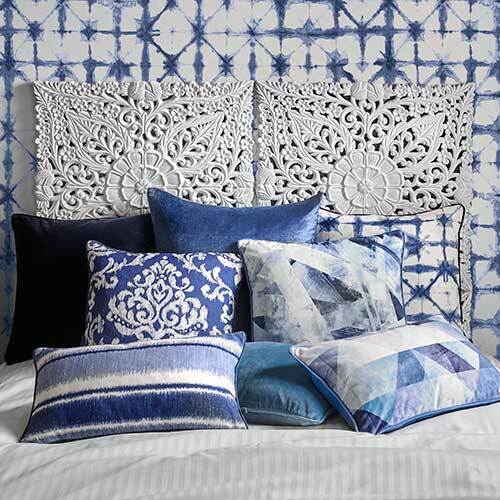 Step away from blank walls, because this season we’re all about interior design that dazzles and delights with glittering embellishment and subtle micas. 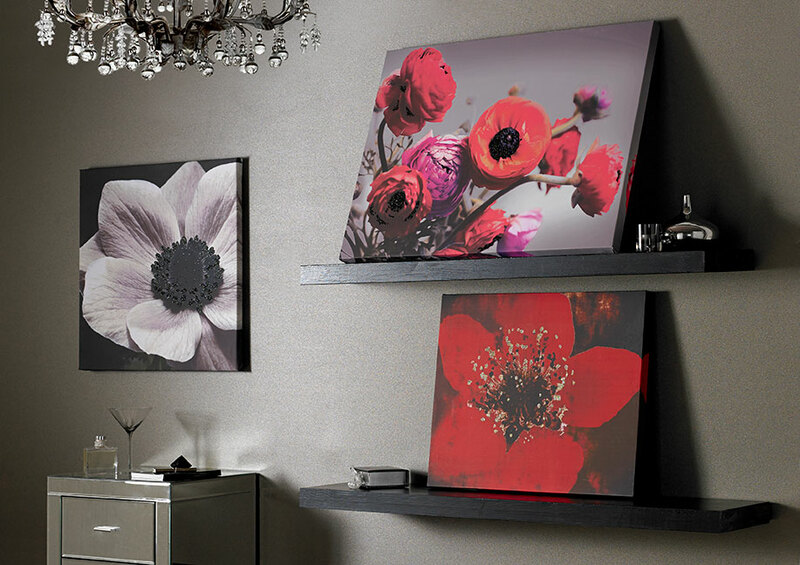 Twinkling along your walls, these beautiful designs are the perfect way to add a touch of sophistication to your home. Updating classic motifs, such as damask and stripes with a sparkling finish, these wondrous patterned wallpapers display a timeless sense of glamour. 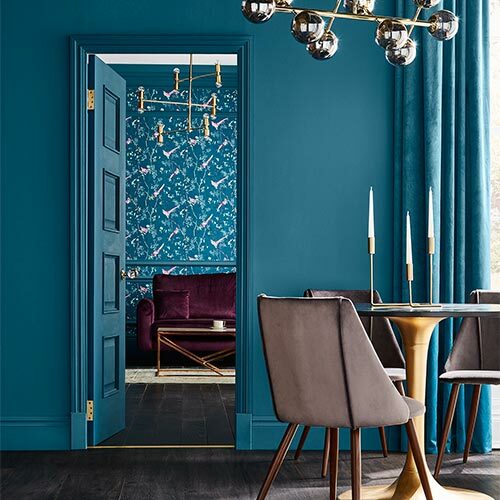 Instead of going all out with pricey furnishings, these decadent motifs give your home a distinct regal vibe, which you can easily integrate into your current look. 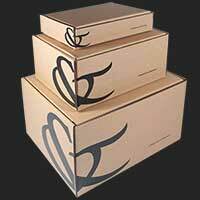 Why not take a closer look at a few of our favourites? 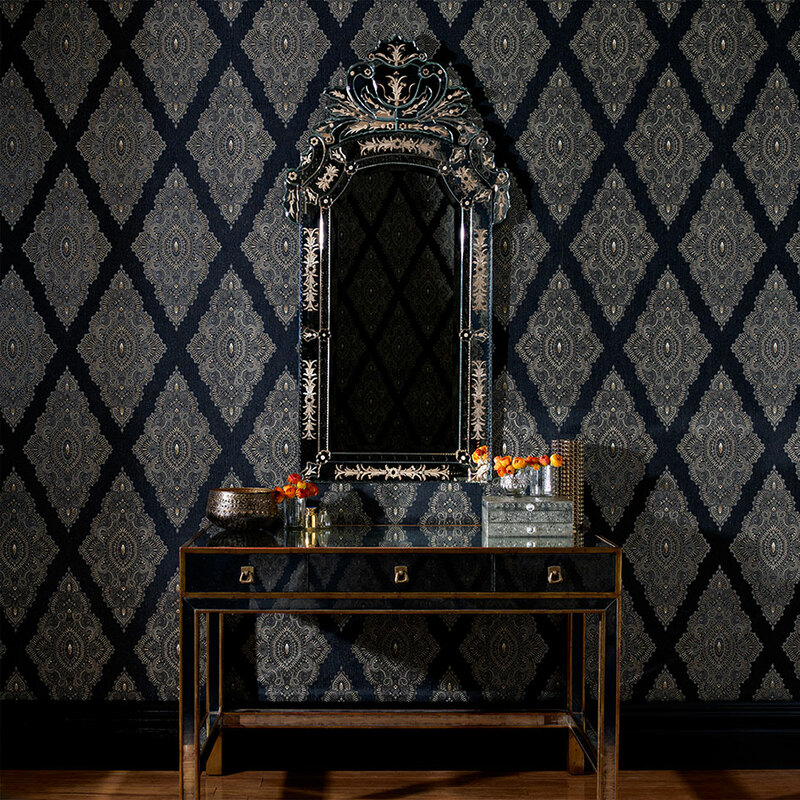 Our stunning Jewel Black/Gold wallpaper is one of our show-stopping designs from Julien MacDonald. You can really see how his runway creations inspire this motif, with a delicate lace pattern and plenty of embellishment, this product embodies a feminine touch in its intricate design. Whilst black wallpaper may seem daunting to some, the dark backdrop only accentuates the gorgeous metallic highlights. Don’t be afraid of using this in low-lit rooms, as the sequin-like patterns will capture synthetic light and create a warming golden hue. Subtle texture lines the wall for an unexpected twist that adds depth of design, giving this glamorous wallpaper even more interior impact. 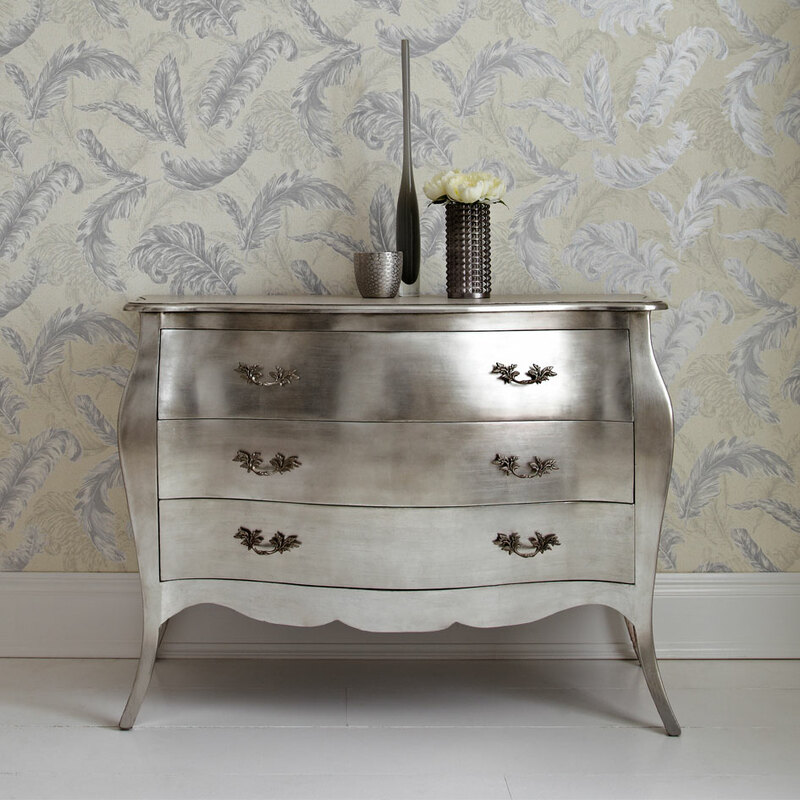 Another feminine motif that evokes a feeling of luxury in any home, our Gilded Feather White/Silver wallpaper is the perfect way to create a shining aura that envelopes your room. 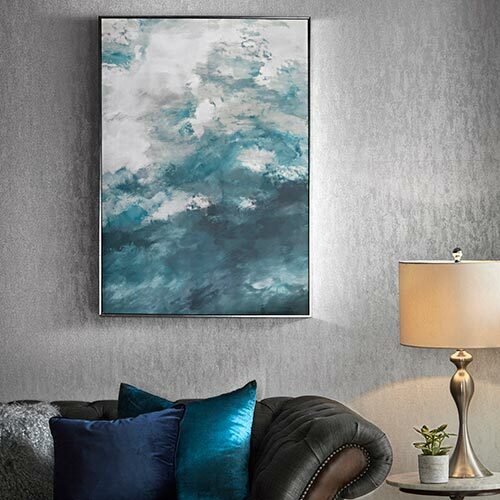 As the feathers drift along your walls they carry a gentle wave of light, making this pattern a great choice for low-lit rooms. Combined with the pure colour palette of soft greys, cream and silver, this wallpaper irradiates the light to wake up any tired interior. Paired with neutral-toned soft furnishings, you can easily create your own indoor Eden to relax in after a long day. 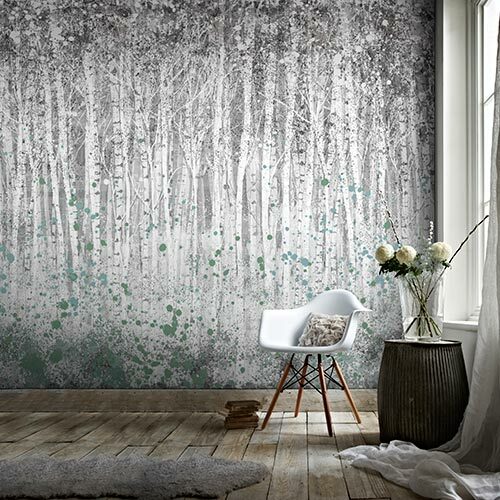 A smattering of glitter and illuminating mica accents really give this wallpaper the wow factor! It’s time to embrace the shimmer of glitter and mica for luxurious interior that wows your guests, so why not let your true colours shine through with the glistening touch of our embossed collection?